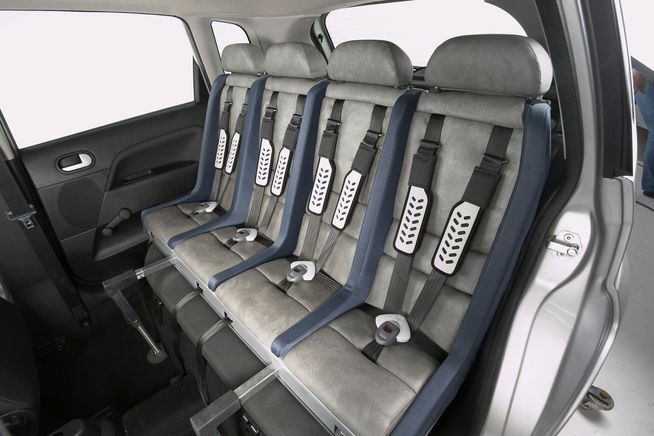 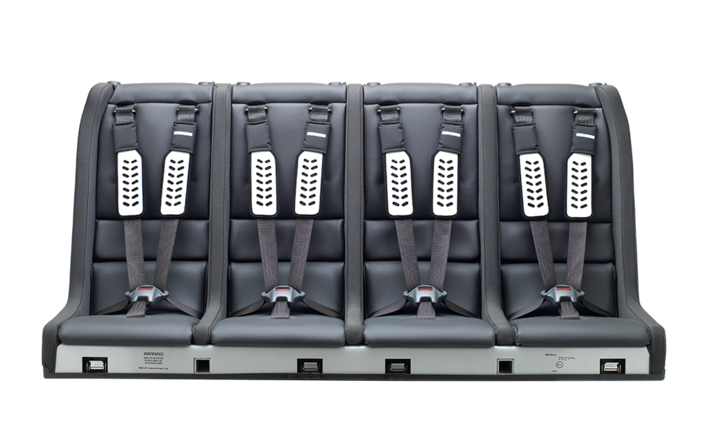 Each seat berth will take children from 0 - 36kg in the adjustable 5 point harness. 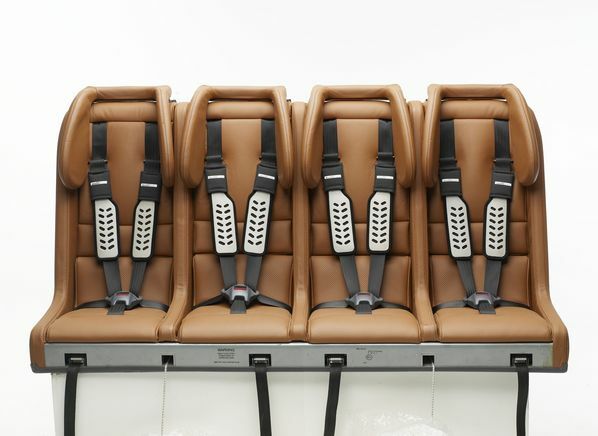 Both headrests are compatible with every seat. 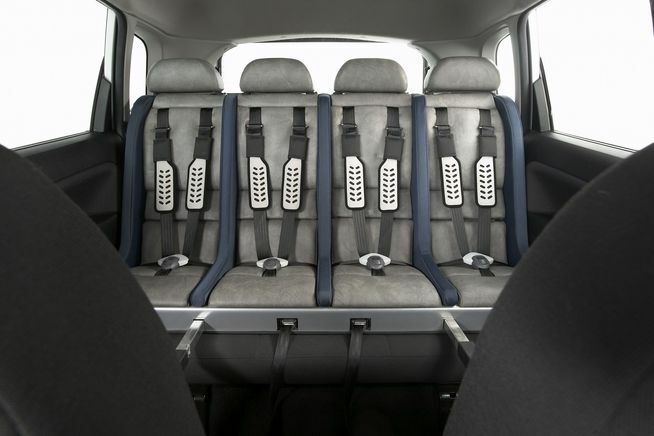 This model does not take the Minimac as standard, it can be modified at a cost of £50 so that one of the outer seats does accommodate the baby seat.